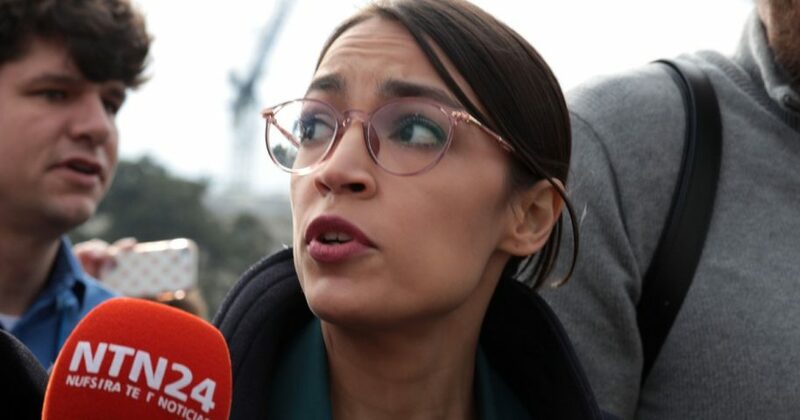 Alexandria Ocasio-Cortez took a strong stance last year against the confirmation of Supreme Court Justice Brett Kavanaugh, who faced unsubstantiated allegations of sexual misconduct from his high school days. We are asking Senators to respect survivors & the standards of the Supreme Court: #CancelKavanauagh. Soon, the Senate will vote on Kavanaugh’s nomination. But on November 6th, THE PEOPLE will vote on their Senators. On Tuesday, the Democratic congresswoman from New York invited a sexual assault survivor who made news after protesting Kavanaugh’s nomination to President Donald Trump’s State of the Union address. Three days later, however, Ocasio-Cortez dodged questions about the sexual assault allegations that have emerged against Virginia Democratic Lt. Gov. Justin Fairfax. In a hallway interview on Capitol Hill, she indicated she didn’t know anything about the allegations against Fairfax. This comes as Democratic senators who condemned Kavanaugh of sexual misconduct allegations refused to acknowledge the sexual assault allegations against Fairfax when asked by The Daily Caller News Foundation on Thursday. When asked if the same standard should be applied to Fairfax as it was applied to Kavanaugh during his confirmation hearings, the five Democratic senators asked, who all opposed Kavanaugh’s confirmation due to the allegations, all dodged the question or acted like they had not heard about it, despite the fact it has been major national news for nearly a week.